Monthly MUST Haves is a monthly recap on products, services or companies that have caught my attention, or that I have fallen in love with over the last month. A fun way for me to share random things that make me happy, in hopes that they might bring you joy as well! 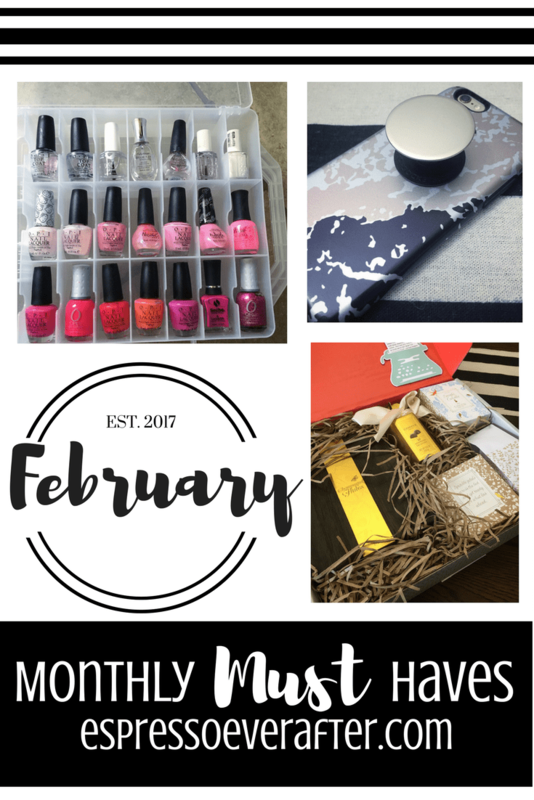 This February edition of Monthly MUST Haves is jam-packed with 3 amazing companies and extremely creative mom-approved products! I can’t wait to share them all with you! Enjoy! 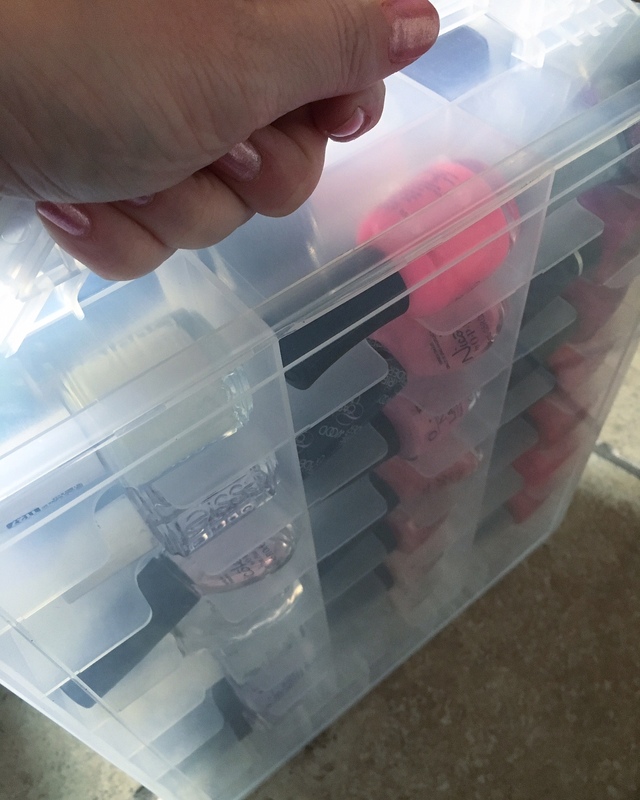 48 Bottle – Nail Polish Holder: I love organization and when I came across this item, I knew it was made for me. In this stage of raising little girls, I paint A LOT of little toes and nails. 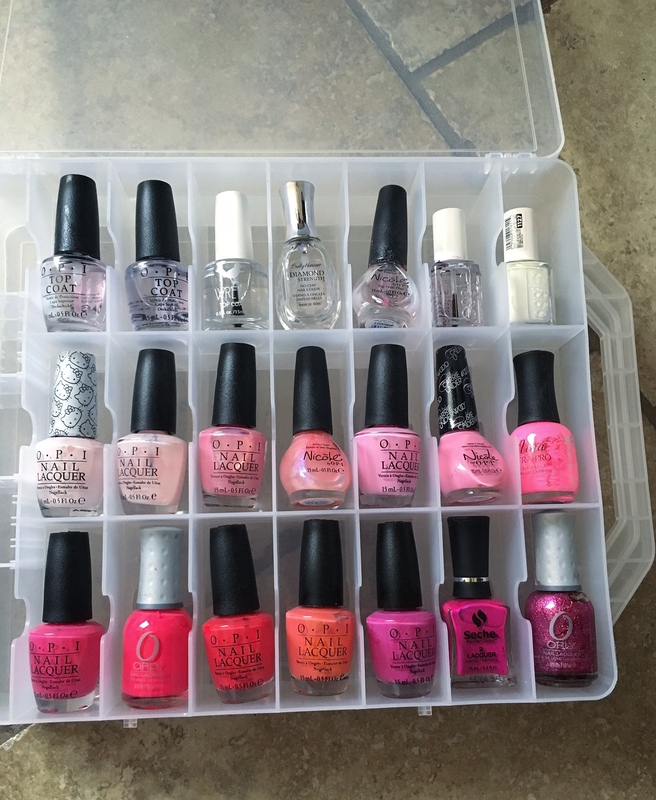 But my favorite part is showing my girls all of their nail polish options and seeing which ones they choose. I was noticing how hard it was for them to see all of the color options when digging around in my shoebox full of colors, so I started researching products that could help me in this area. That is how I found the Makartt Universal Nail Polish Holder. 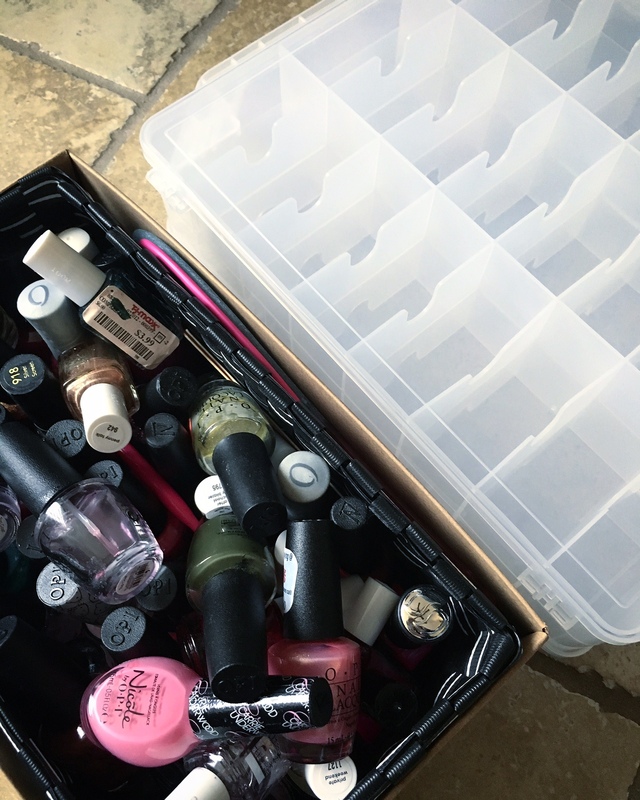 It is a clear plastic holder that provides you the opportunity to glance at all 48 bottles of nail polish in a hard plastic case. I love the flexible design that allows you to adjust each spot for the different sizes of bottles, which makes it suitable for most brands; there is also a place for your grooming tools. 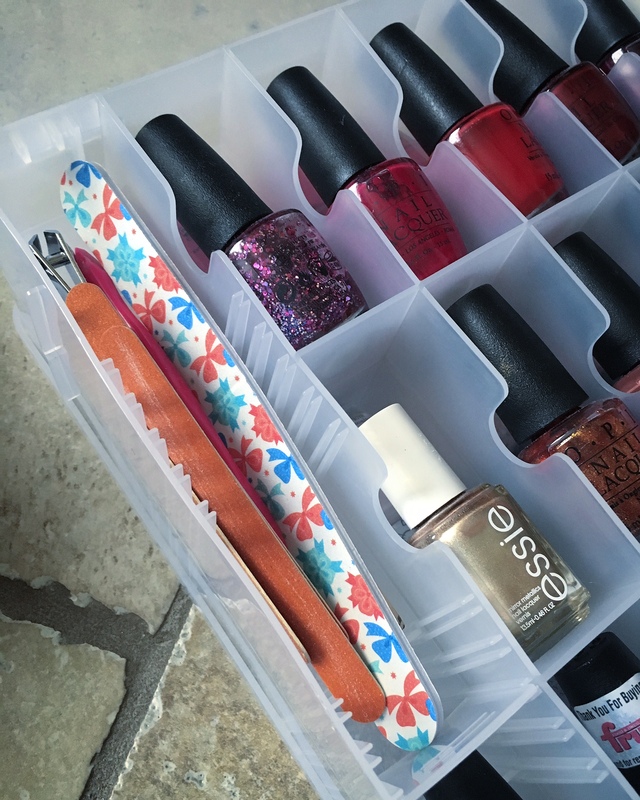 It is portable and offers secure snap latches on both sides, so my girls can bring their nail polish kit safely over to grandmas house for a sleepover. No more digging for colors in my old shoebox. This nail polish kit is a dream come true! Don’t just take my word for it – Check it out! 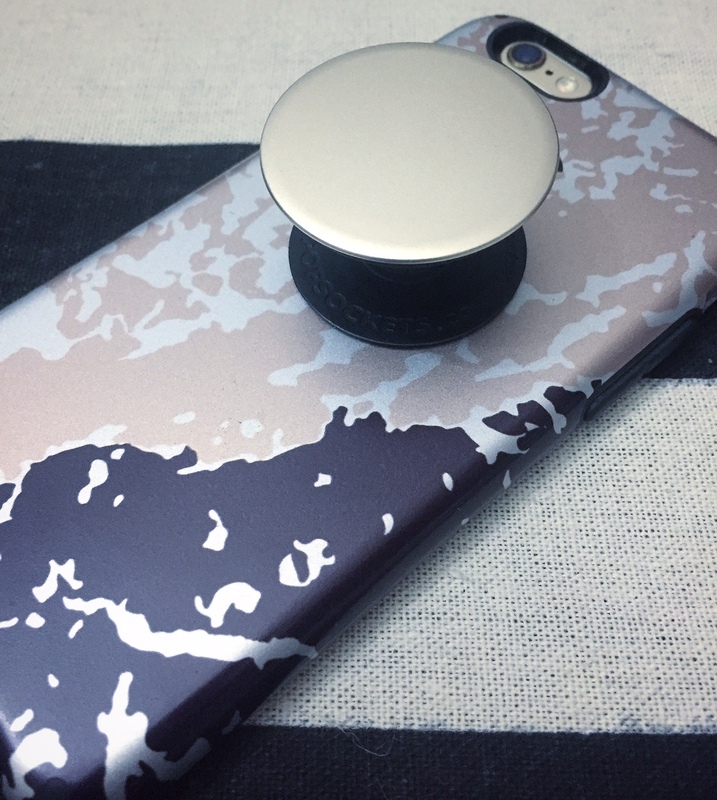 PopSockets – Expanding Stand & Grip: With the new iPhone 6 design came a new problem for my hand… I noticed that I was starting to get cramps in my left hand. Yes I know, first world problems. I looked into all of the different options out there to help me with this problem and I found the PopSockets to be the best option for me. 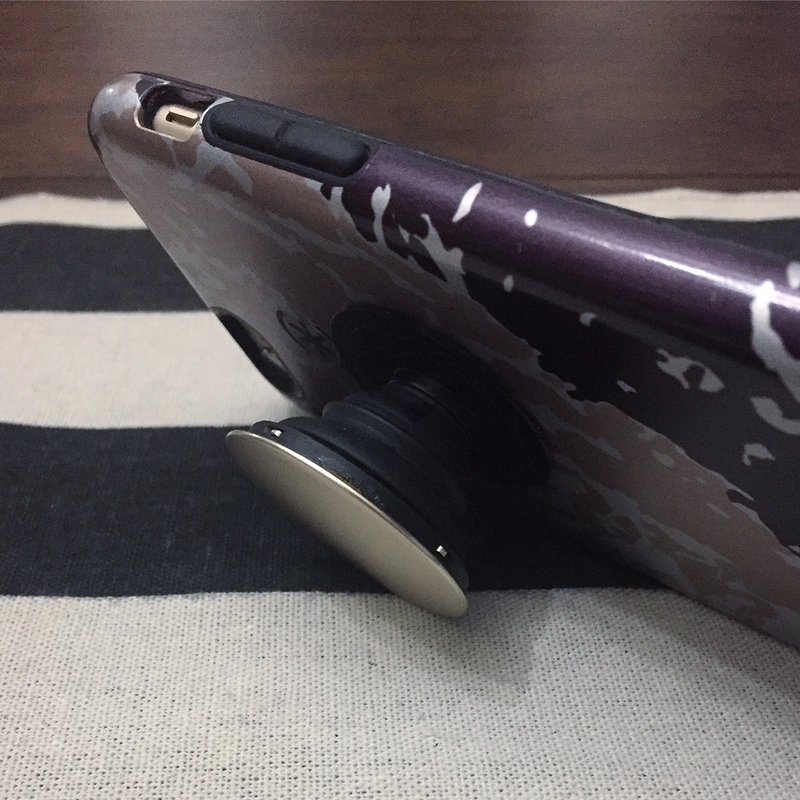 PopSockets are expanding stands that grip, pop, tilt, prop and collapse! ThePopSocket allows your hand to relax comfortably while securely holding your phone and it doesn’t add weight or bulkiness to your phone. I love that I can now prop my phone up in either landscape or portrait mode to watch a movie or offer cartoons to my girls. 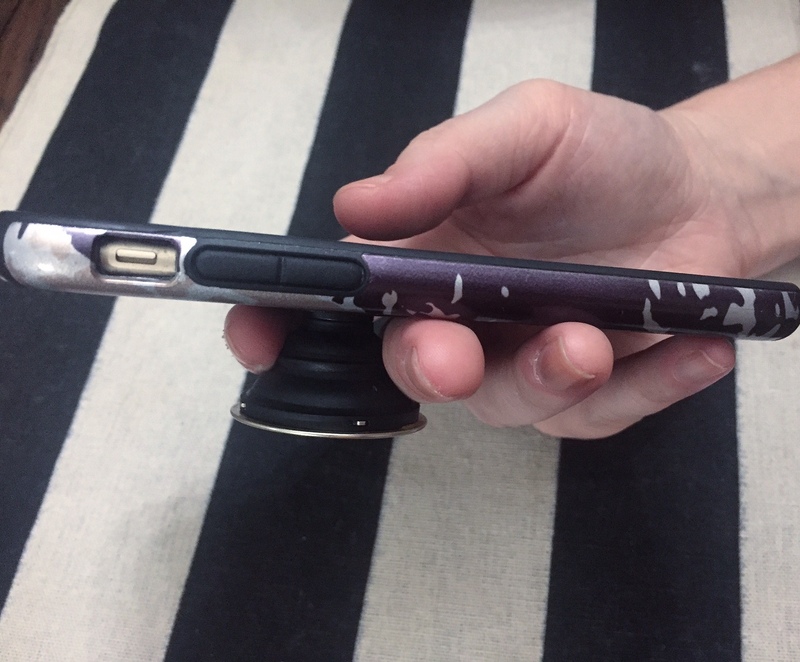 The PopSocket sticks securly onto your phone or tablet with advanced reusable adhesive, and I have had no problem switching it to a different case. My favorite part is their plethora of colors and designs. I went with their gold aluminum color to match my favorite case, but the sky is the limit, have fun matching it to your favorite case! 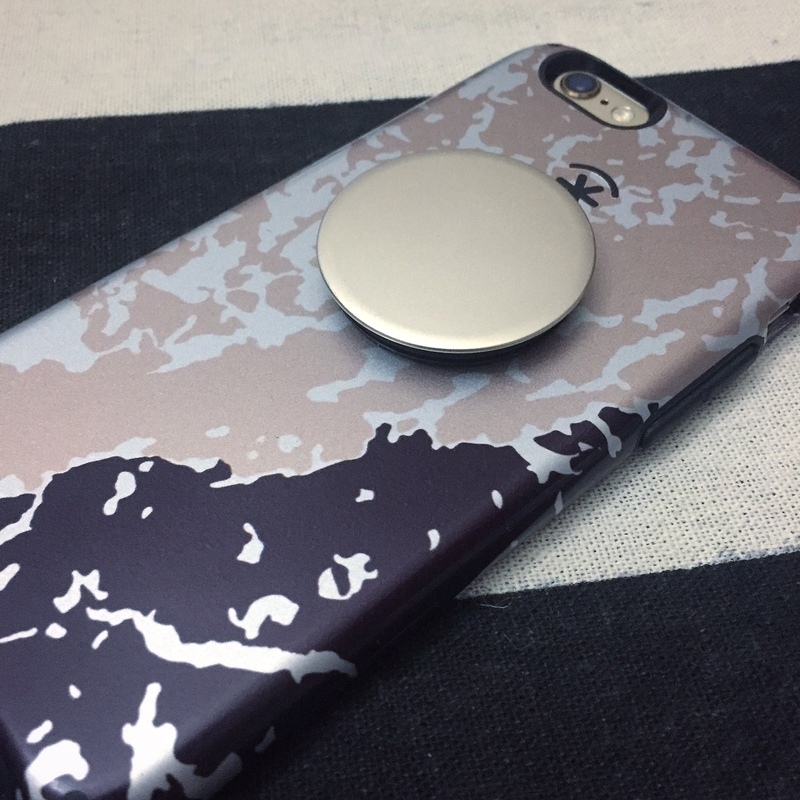 My PopSocket has become a lifesaver and I have noticed that my girls don’t seem to drop my phone as easily since I have added it on, it is a winner in my book! (*affiliate) Shop it HERE! Shop my favorite case! Thoughtfully Gifted Stories: I have mentioned this company before because they are the best in gifting! (Click HERE to read my review!) Thoughtfully Gifted is a company that masters in the gift of giving stories. 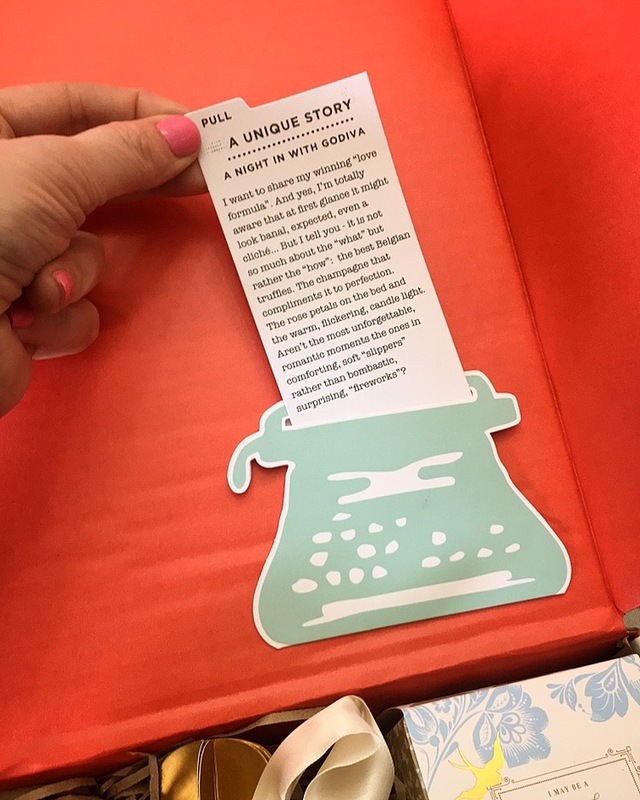 You can select the most personalized gift for someone you love on their convenient website and they create, ship and deliver the creatively-packaged gifted story for you. 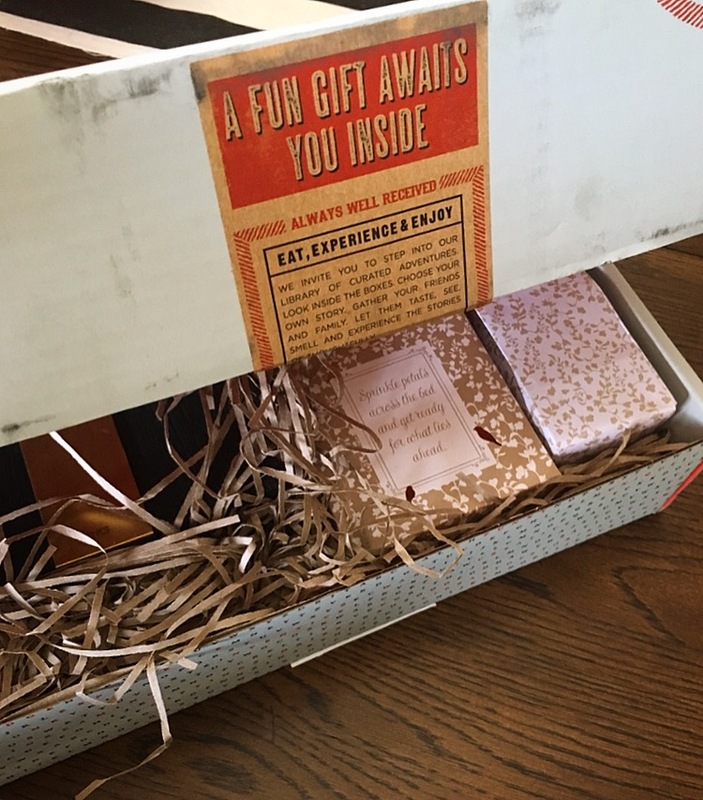 No matter what the reason is to gift, they offer a box that will fit your needs perfectly! 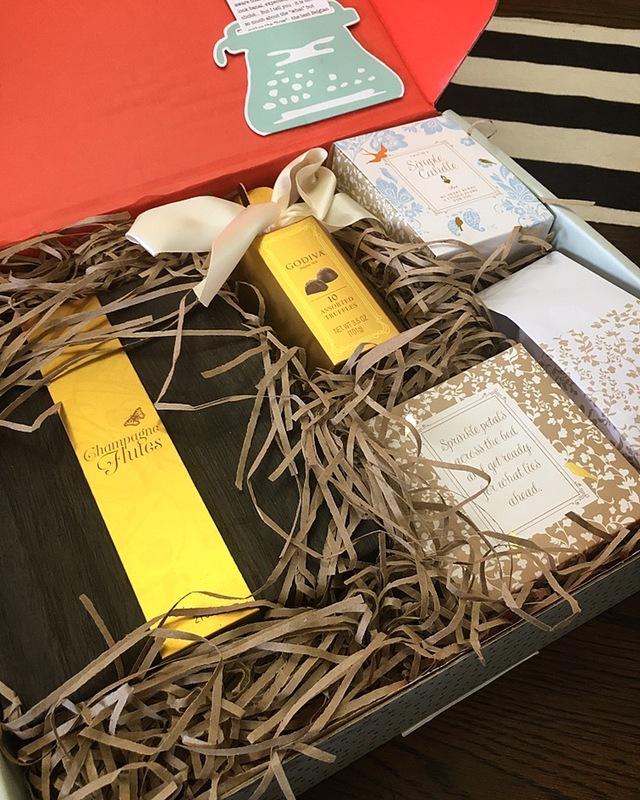 Knowing that I adore chocolate, a classy cocktail and a date-night-in with my hubby, Thoughtfully recently sent us their Night In With Godiva gift box to try out. Let me tell you, it did not disappoint! Thoughtfully Gifted Stories thinks of everything. 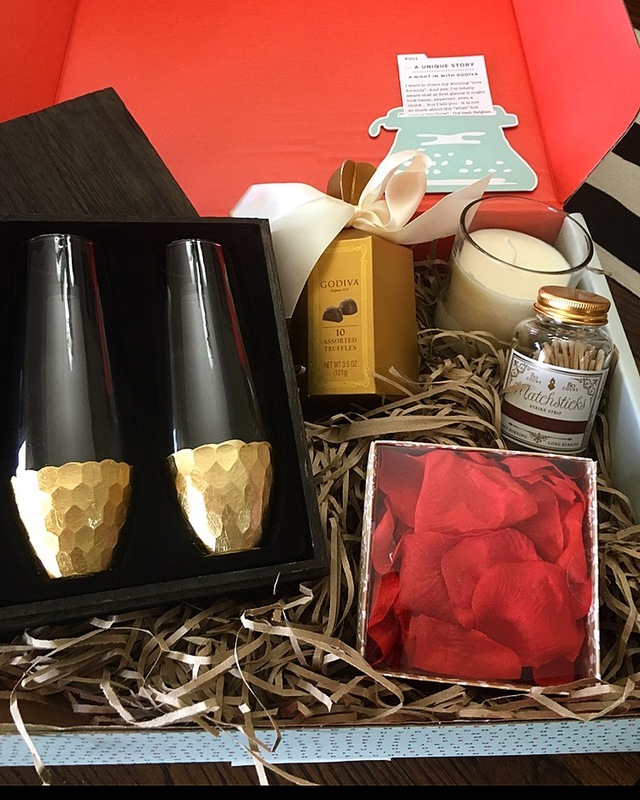 The box offered all the trimmings needed for a romantic night in: rose pedals, stunning champagne flutes, tasty chocolates, and they even provided a candle & matches to set the mood. Well played Thoughtfully! Have fun shopping all of their boxes, I promise you will love their selection and they will become your go-to gift! To shop Thoughtfully Gifted Stories gift sets, visit: WEBSITE / INSTAGRAM. QUESTION: Are there any products you have fallen in love with recently?… Something you think I need to try and potentially add to next month’s Monthly MUST Haves?… Let me know! Thanks. Like what you see – PIN the image! I seriously need to get that nail polish case! Yes you do! It is awesome and it comes in pink! wish it had been around a few years ago too. Ah, progress! I am obsessed with that nail polish box! Such a genius idea! You are so organized girl!